Utilize a single piece of Plissé fabric to cover the entire opening. 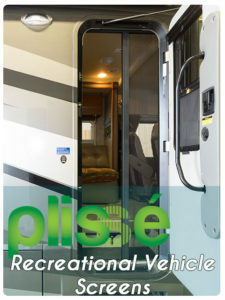 Utilizes two Plissé units that meet in the center of the opening when in use and retract away to each side when not in use. Great for replacing fixed, sliding screen that came with door. Usually utilizes the optional Plissé surface mount adapter for installation. 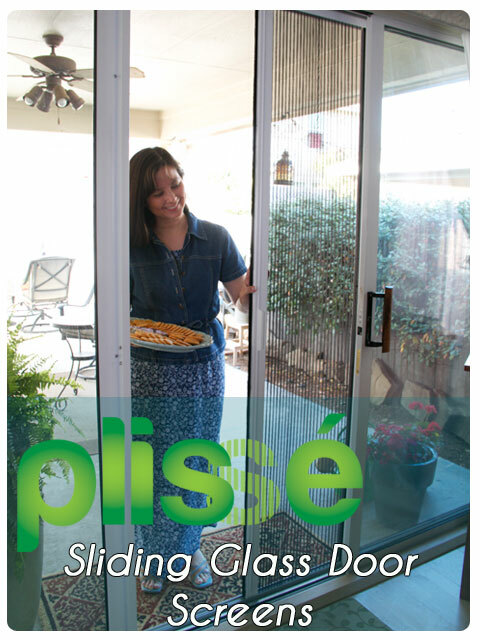 May utilize multiple Single Plissé retractable screens, Double Plissé retractable screens, Window Plissé retractable screens or a combination of them all. 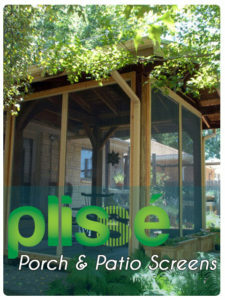 Perfect for a new construction or remodel Porch, Patio or Sun Room. 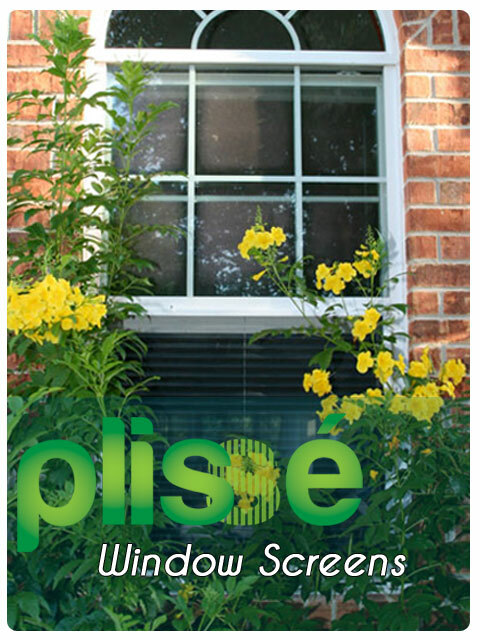 Plissé Retractable Window Screens can be used on all different styles of windows, including, but not limited to, Casement Windows, In-Swing or Out-Swing Windows, Antique Windows, Large Windows and much more. 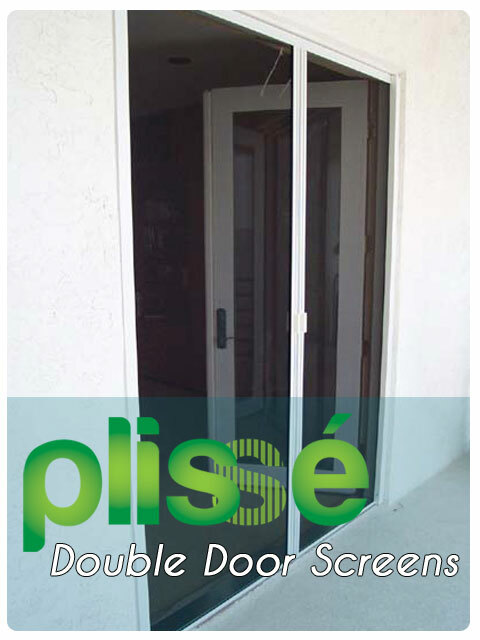 Both Single and Double Plissé Retractable Door Screens can be used on Sliding Glass Doors. 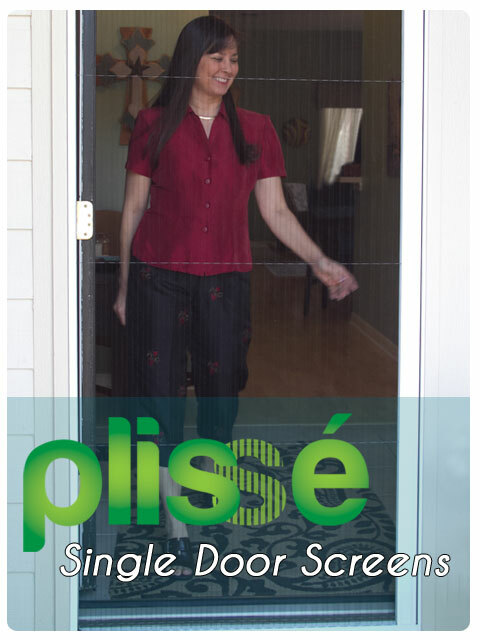 Can easily be used to replace an existing standard sliding door screen or to add a screen to a Sliding Glass Door that did not originally come with a screen. 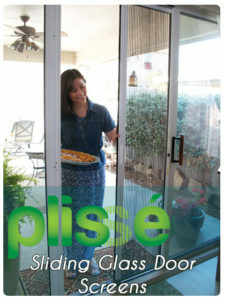 Most often used to mount one side of a Plissé Retractable Screen Door Frame onto the fixed panel of a Sliding Glass Door or Atrium Style Door. 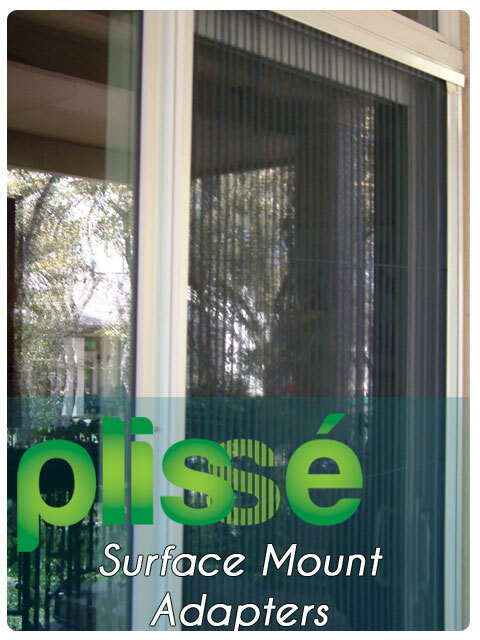 Two can be utilized for a Surface Mount Installation on openings that don’t have the room inside the door frame for an inside mount or for customers who prefer a surface mount installation for other reasons. 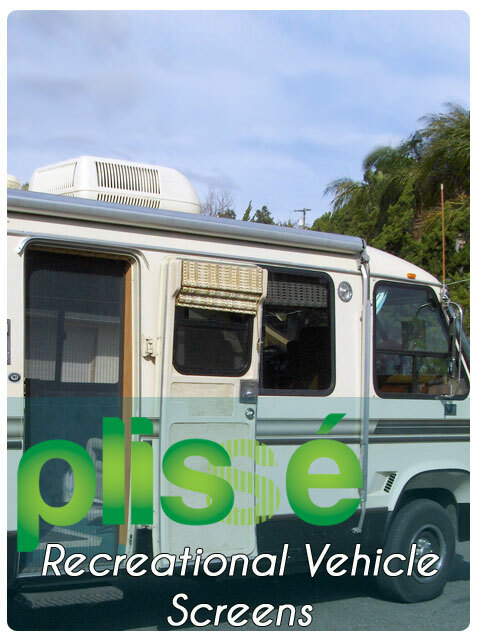 Plisse retractable screens are easily adapted for use on a wide variety of applications including, but not limited to, Motorhomes, Recreational Vehicles (RV’s), House Boats and more. 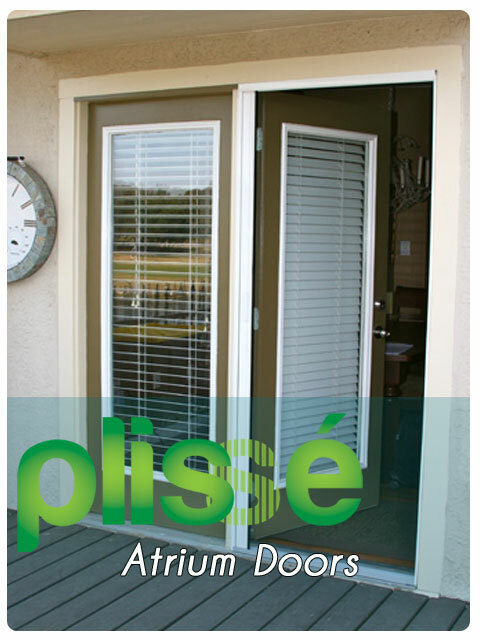 The best part of having a retractable screen is that it’s there when you need it but doesn’t clutter up your doorway or obstruct your view when you aren’t using it. 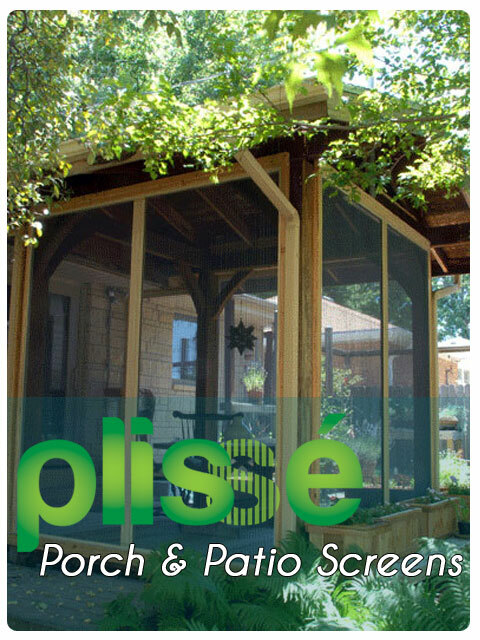 Please take a minute to look at how our Plissé retractable screens have improved the value and look of a few of our customer’s homes. 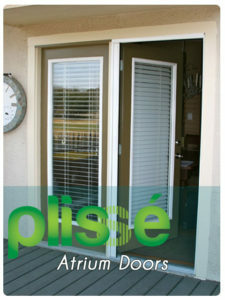 You can also find more information about our retractable screen door prices, the signature Plissé retractable screen colors and our unique, patent-pending retractable screen design. Of course, we are more than happy to explain our custom build process, help you measure your opening or just chat for a minute – we welcome your phone calls (866-571-8870) and emails! 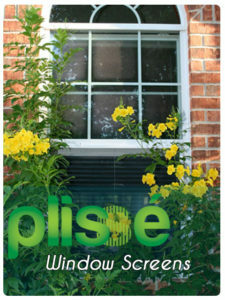 Click links above to see picture galleries for each of the Screen Solutions’ Plisse retractable screen products.